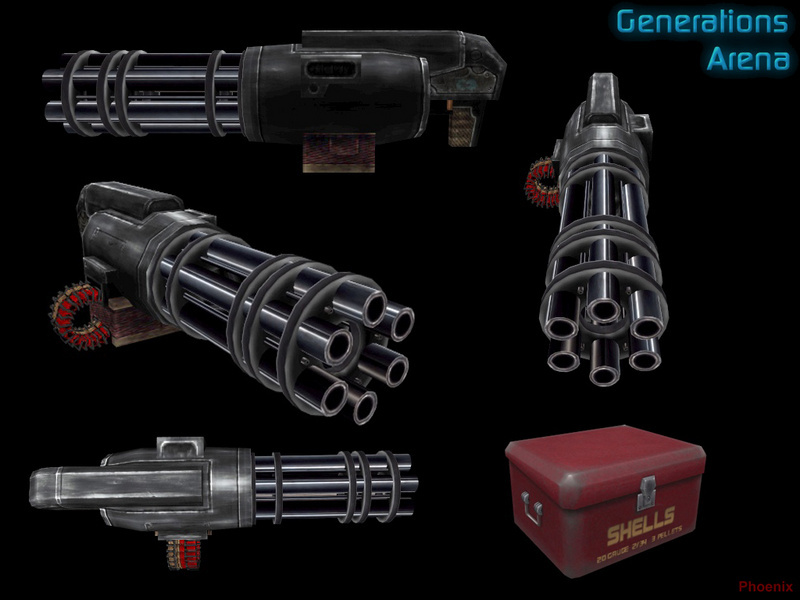 Description : This is the big brother to the standard chaingun. Ripped from the carcass of the Spider Mastermind, this death cannon fires special .410 gauge 3 pellet 000 buck magnum shotgun shells for three times the pain. If you need to clear a room but don't have a BFG9000 handy, this is your gun. Uses special red ammo boxes.